PRP Therapy is the most exciting new advancement in the treatment of women’s hair loss. PRP has been found to improve hair health and regrow hair. PRP can be effective in the treatment of Androgenic Alopecia (Female Pattern Hair Loss), Alopecia Areata, and Traction Alopecia. Your body is full of natural growth factors and stem cells that are activated by platelets to assist your body in wound healing and cell regeneration. PRP Hair Regrowth Therapy utilizes these natural growth factors and stem cells by isolating the platelet rich portion of your blood. This concentration of platelets, and therefore concentration of growth factors, is up to ten times greater than normal. 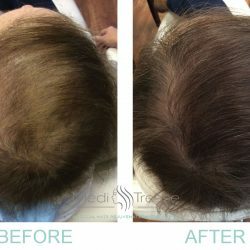 PRP stimulates new hair growth by re-activating dormant follicles and heals the follicle at a cellular level, which results in healthier thicker hair. PRP has been around for over 20 years. It is used for its wound healing capabilities in various medical specialties including cardiovascular surgery, orthopedics, sports medicine, dermatology and other medical specialties. 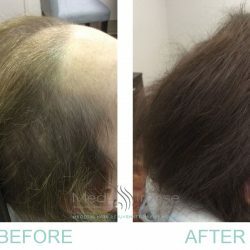 PRP was first utilized to treat hair loss in 2004, however it is not until recently that studies have shown its full potential in treating hair loss. Is PRP Therapy a safe treatment? PRP is very safe and has limited side effects. In every study done completed for the use of PRP as a treatment for hair loss there has never been any significant negative side effects found. Is there research on its effectiveness with hair? Randomized, double-blind half-head study to evaluate the effects of PRP on alopecia areata. Result: PRP was found to increase the hair regrowth significantly (statistically significant) on the treatment side of the head. No side-effects were noted during treatment. PRP was used in patients with androgenic alopecia who did not respond to minoxidil and finasteride (male). 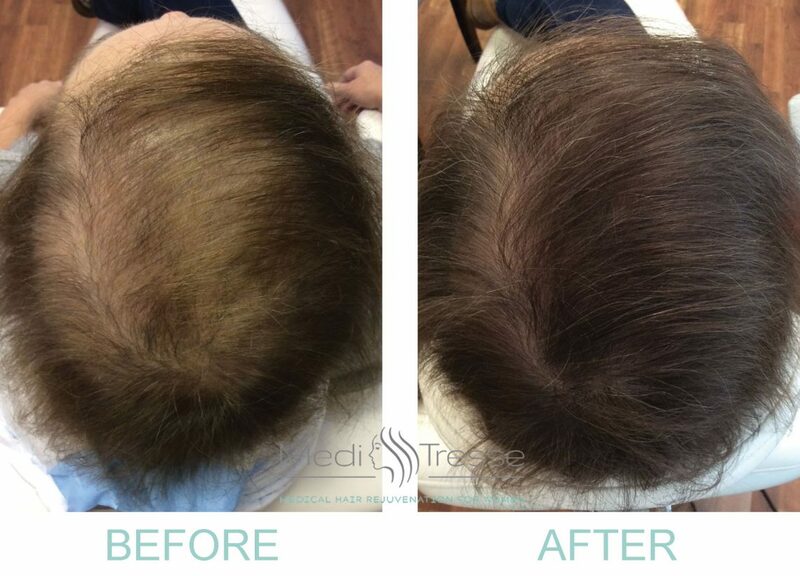 Result: After 4 treatments over 3 months there was a significant reduction in hair loss in all patients and a moderate improvement in hair volume and coverage. On average there was a 31% increase in hair counts. 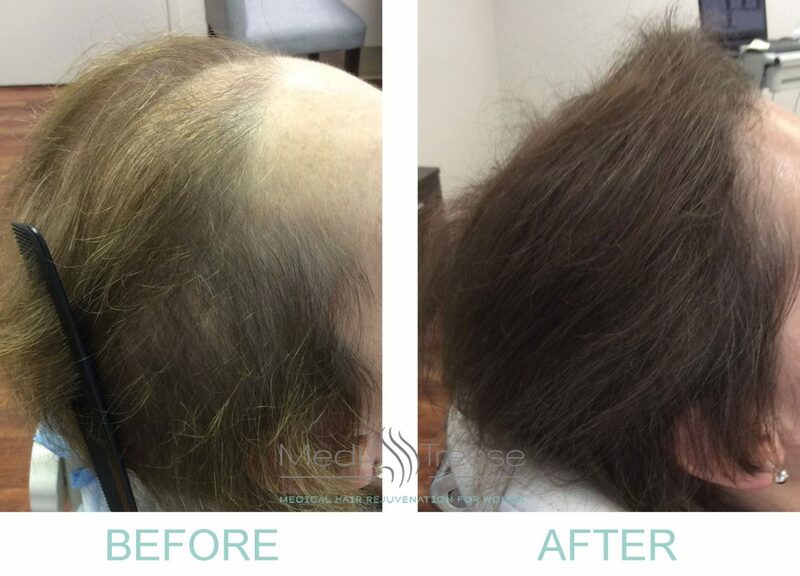 Both Men and women with androgenic alopecia were treated with PRP 4 times over 2 months. 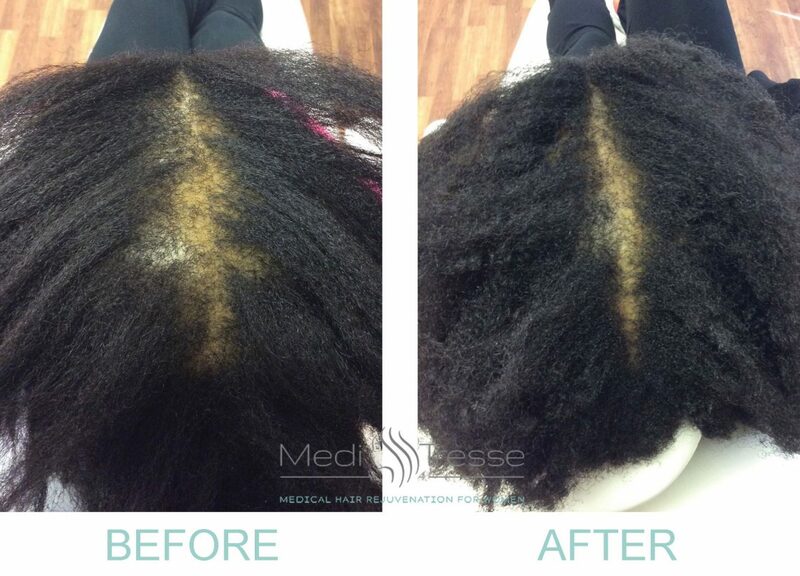 Result: After treatment, 100% of patients had less shedding (by hair counts). Pictures demonstrated significant improvement in hair volume and quality. The results were best in patients who suffered from alopecia for 2 years or less. Over 1000 patients (56% men, 44% women) were given 2-3 PRP treatments over 4 months. Results: 80% of patients had a scientifically significant increase in hair counts. Another 13% had significant improvement of hair miniaturization and less hair shedding even though overall hair counts did not increase significantly. Only 21% of patients had a recurrence of symptoms after 14 months while 68% had no relapse while being monitored for over 3 years. Half the scalp was treated with PRP, half was not treated at all. Each patient was treated only once. Results: 3 months after the first treatment, the treatment area had a significant increase in absolute hair counts as well as density (number of hairs/cm2), while the control area showed a decrease in both. PRP is a simple non-surgical treatment that is performed in the comfort of our office and takes less than one hour to complete. We take a small amount of your blood and isolate the growth factors and platelets. We then place the now concentrated growth factors and platelets into your scalp to treat your hair loss. 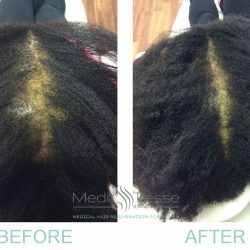 At Medi Tresse, we recommend 1 treatment each month for a total of 3 treatments. It usually takes 3 to 6 months to see initial growth of the hair, but up to a year to see maximum benefit. However, many women will start to see new growth much sooner. Contact us today today to learn more about our Platelet Rich Plasma Therapy in Boston, Westchester, and Chattanooga.